Hi Folks please allow me a short introduction of myself combined with an requirement for help. I´m tom, 51 year old, organizing a Car show with about 600 cars every year, from South Germany and very excited of old Cars from US; restored an 34 Ford Pickup in the last years and owned an 67 Plymouth Fury VIP for 12 years which is now replaced with a new project. 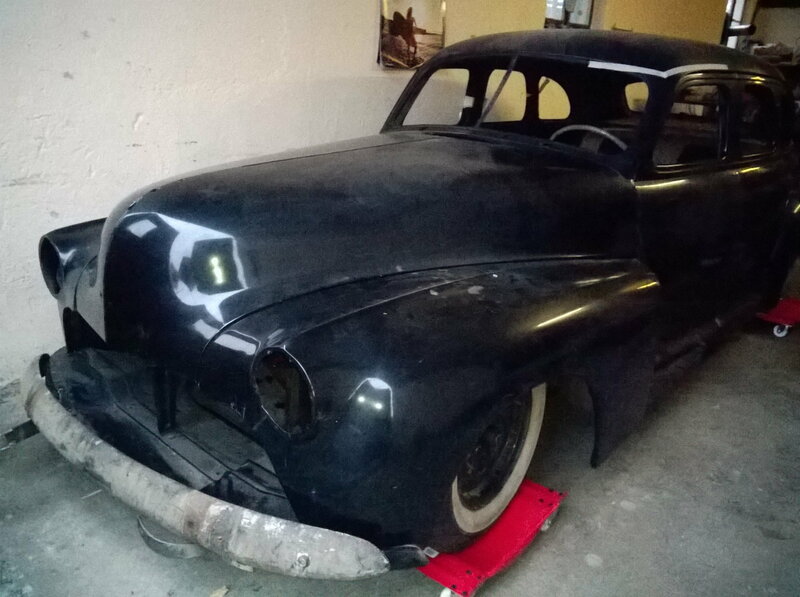 Initally purchased as an 48 chevy Fleetmaster (Austrian Title with picture of car and some Nr`s: Frame XBEK 226 and Engine (line 6, 226 CUI) Nr EAM25852; problem is no fender tag or any other plate is too find on the car, also no single sign / emblem; the Body should be a Fisher Body from 46-48 (A Type, 19 Style 5 passenger sedan. 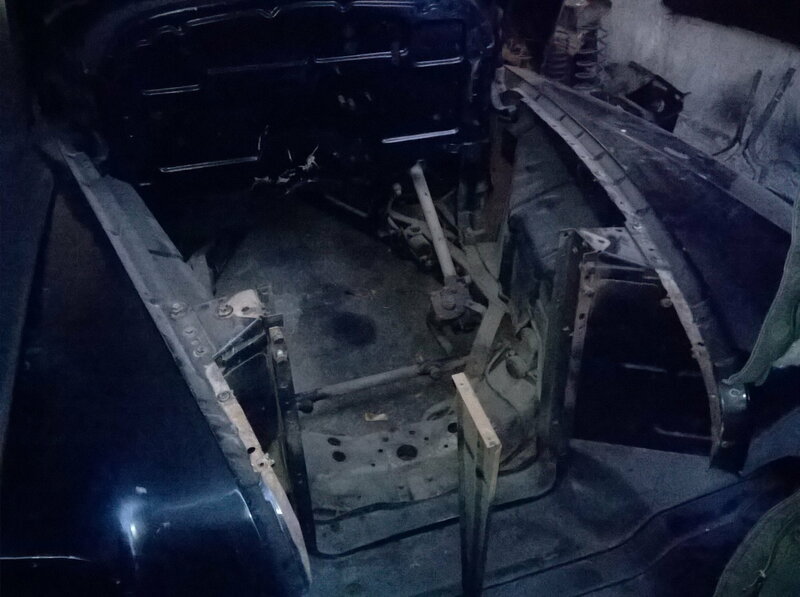 The frame is sure no chevy because of 4 x coil springs and looks excactly as all documentation for Oldsmobile 1942-1948. 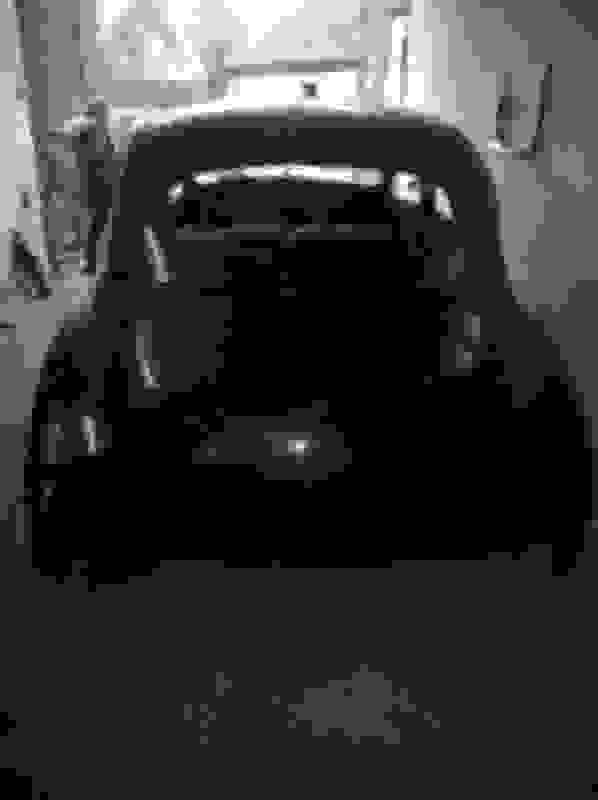 Do you have any idea what Car I bought? 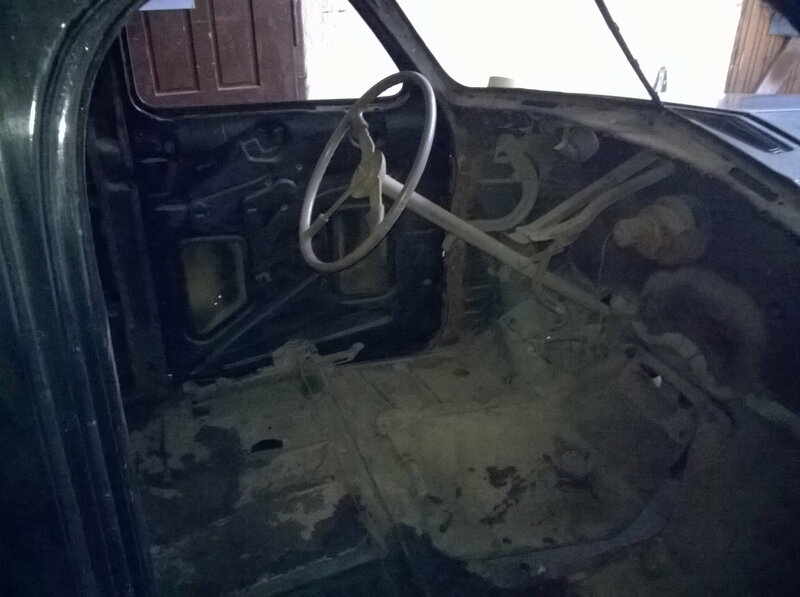 The Vehicle is very interesting because of the perfect conditon of all metal, nearly rust free; car was last time registered in 1960. Last edited by olds-tom; February 4th, 2018 at 09:03 AM. Front bumper definitely not U.S.A.Oldsmobile production. Looks more like Chevrolet. 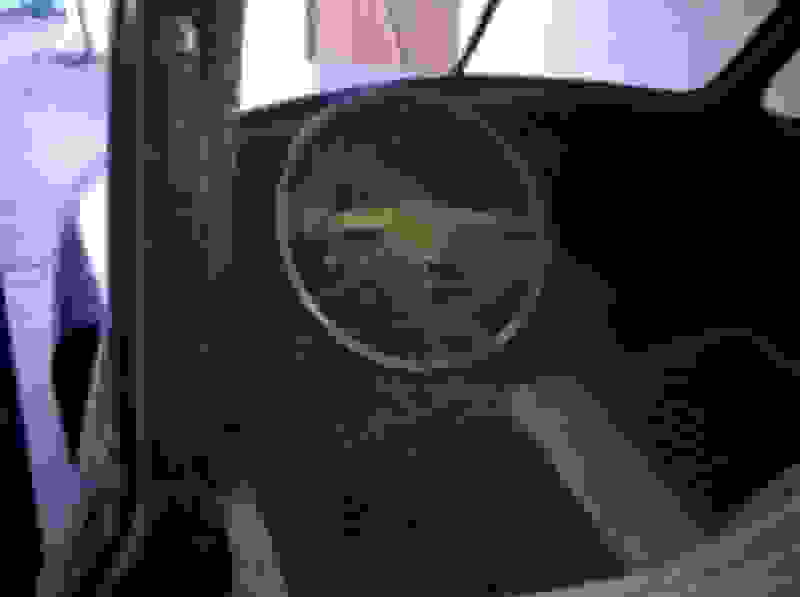 Which rear fender is fuel filler door ? 46-48 Oldsmobile is on driver side. Chevy is on Passenger side if I remember correctly. 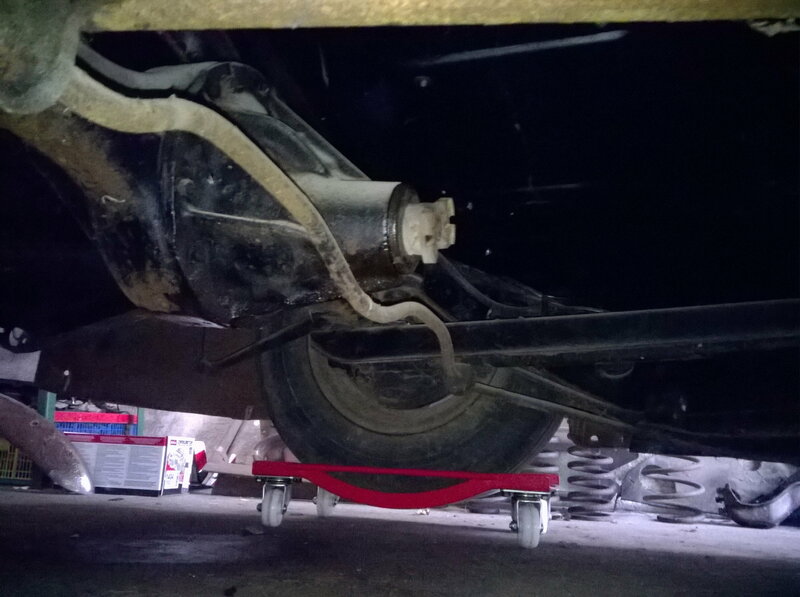 Rear suspension looks very similar to 46-48 Olds but hard to tell as photos are very dark. Also look at front fender extensions on doors. Chevrolets are shorter, like maybe 12 inches or so. Oldsmobile are longer at about 18 inches. Frame on Oldsmobile of those years was a channel type. I think Chevy frames in 46-48 were what they called "top hat" and very different than Oldsmobile. 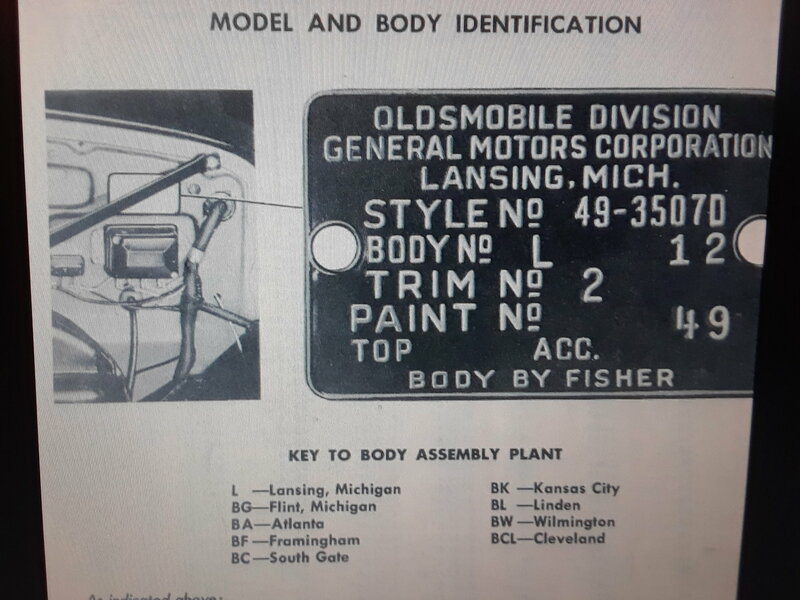 In the GM "A" bodies some parts were interchangeable between small Oldsmobiles (series 66 and 68) some Pontiacs and some Chevrolets. I'd suggest you try re photographing body and frame details to see if you can get better exposure and maybe other 46-48 Olds owners can chime in with better identification. Also if you have shots of dash and instrument cluster panel that would be helpful. Olds had a very distinctive dash and instrument cluster. Thanks Hurst68. Photos are easier to check. I'm pretty sure its a 46-48 Olds frame but am still undecided on the body but leaning toward Oldsmobile. The dash piece hanging from steering column on one inside photo is not Olds but looks like 48 Chevy. Front bumper is not 46-48 Olds but a lot of stuff can be changed or adapted over seventy or so years. Front fenders with raised rib on top look very Oldsmobile. I don't recall seeing a Chevy with fender shaped like that. Hood looks Olds but Chevy is similar except Chevy had 3 mounting holes for emblem on lower front of hood and Olds had two. Driver side rear fender looks to have tail light cut out same as 1948 Olds. 48 Chevy taillights were in body panel. 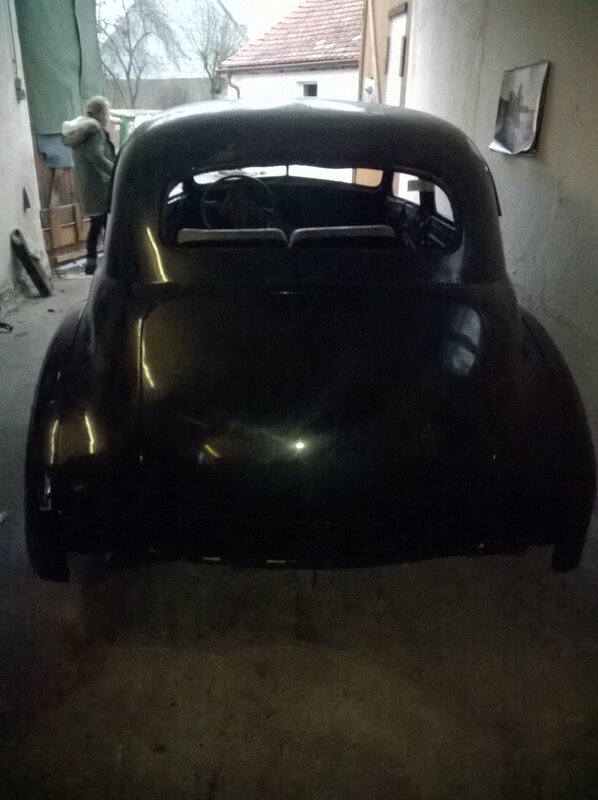 Big question is why would it be titled as a 1948 Chevrolet in Austria if in fact its an Oldsmobile? thanks for the 1st thoughts! 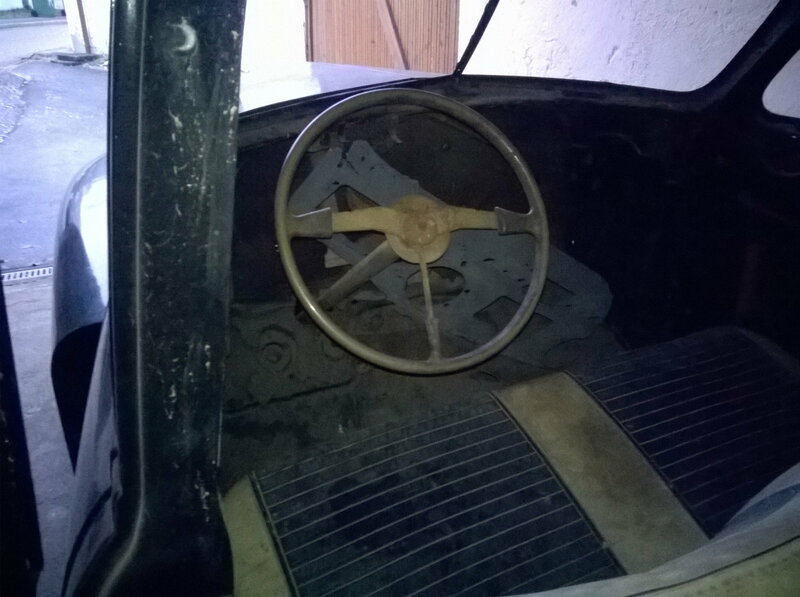 ; the issue is that the Body is in and outside totally naked; the Bumber is an additional gift from previous owner, also the Dash which is from an 48 chevy; the fuel filler door is on Driver side, also the tail light cuts are within the rear Fenders; the previous owner bought the Car from heirs of an Long ago passed away man in Austria; why in 1958 someone in Austria decided to identify the Body as Chevrolet is impossible to clarify..; the only original Piece inside the car is the back seat which is hinged to use the space from trunk available.. The rear end is not Chevy because Chevy used an enclosed driveshaft. I think Olds was open. ok seems to be clear it´s an Olds, maybe from ´48. Which model do you think? an Model 66 or 76? maybe to identify with the front fender extension? 76 seems to different to 66? What is the wheelbase ? A 66 would be 119 inches, a 76 was 125. Actually a 60 series or 70 series. It could be a 66,76,68 or 78.
ok thanks for this hint; will tomorrow measure in the garage and add this information here! measurement shows 119 inches so looks like Olds Model 66!? Passenger side VIN Nr will be checked in next weeks when the fender´s will be dismounted. .Look for a Fisher Body tag like this . Should be on the cowl somewhere . Post the numbers , and we should be able to identify it . Window Sticker or Vehicle Build information?